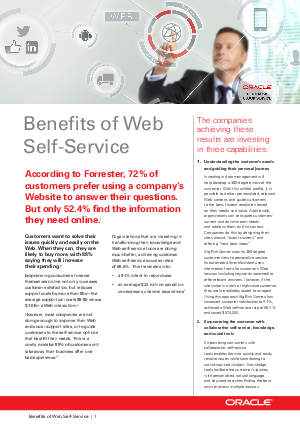 According to Forrester, 72% of customers prefer using a company’s Website to answer their questions. But only 52.4% find the information they need online. Customers want to solve their issues quickly and easily on the Web. When they can, they are likely to buy more, with 88% saying they will increase their spending.